Do you remember being a baby? When are you grown up? 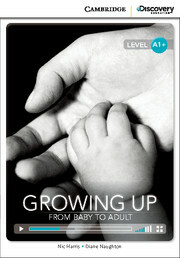 Learn how humans and animals grow from babies to adults, and what it means to be an adult in different cultures. Use your unique code inside the book to access the online reader, complete with videos and interactive exercises. Word count: 1595. Lexile reading level: 660L.